I know, I know, I hear it every year... it's too early! 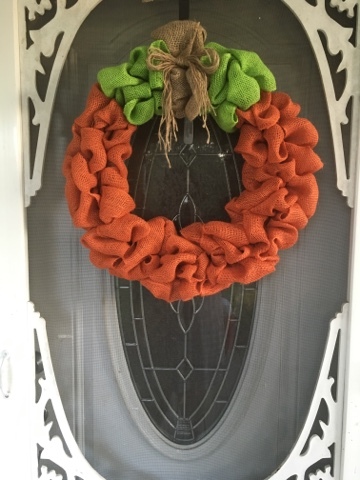 It's still to hot to decorate for fall. I hear it, but I press on with my love of the season anyways. That's just who I am. I have said it before, I keep a lot of irons in the fire, so if I don't stay slightly ahead of myself, I will never get anything accomplished! So I present to you, "Pumpkin Spice!" Heaven knows, I LOVE pumpkins. Pumpkin in my coffee. Pumpkin muffins. Pumpkin decorations. Pumpkin pie. The smell of pumpkin with spices... It's among one of my favorite things. 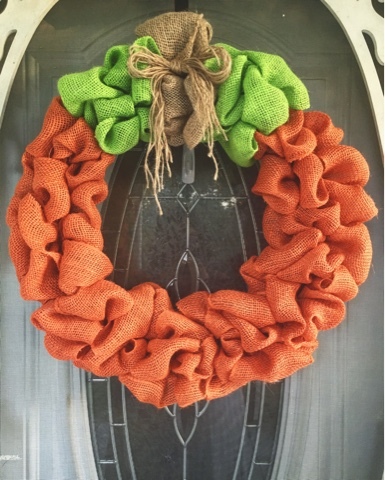 So when a friend of mine posted a picture of a burlap wreath that looked like a pumpkin, I was inspired. It's quite simple to make. 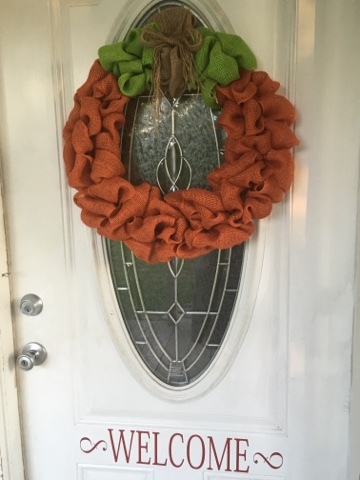 I used an 18" wreath form. 2 rolls of orange burlap. And I couldn't find the exact green I wanted available anywhere, so I used some that I had left from several years ago. It's a little bright for the green... but I like it. And then of course I used the brown in the very middle for the wooden stem. And a cute jute bow. I just LOVE everything about it. It's sweet. It's simple. And it screams me and my love of pumpkins and fall. My head is full of the smells, sights, and thoughts of all things autumn... so expect to see all things orange, green, yellow, gold, rust, and brown around here for the next little while! 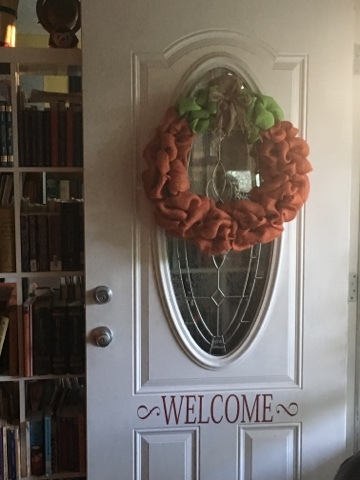 This is adorable - I should try to make one for my front door! I, too, am crazy excited about the arrival of fall - you are not alone! Also, I made your Korean beef recipe the other night - my family loved it! Definitely a "keeper" recipe!